From Elizabeth Wurtzel’s "Prozac Nation" to Leslie Jamison’s "The Empathy Exams," personal writing about illness (much of it by women) can destigmatize frightening conditions. Joining them is Esmé Weijun Wang’s "The Collected Schizophrenias," a formidable inquiry into mental illness. From Audre Lorde’s “The Cancer Journals” to Elizabeth Wurtzel’s “Prozac Nation,” Susan Sontag’s “Illness as Metaphor” to Leslie Jamison’s “The Empathy Exams,” personal writing about illness has done a great deal to destigmatize frightening (and unfathomable) conditions. Combining self-reportage, theory, journalism and polemicism in varying measures, this body of work (much of it written by women) captures not only the derailing experience of being incomprehensibly ill but also the Byzantine medical industry that often knows less than we’d hope. 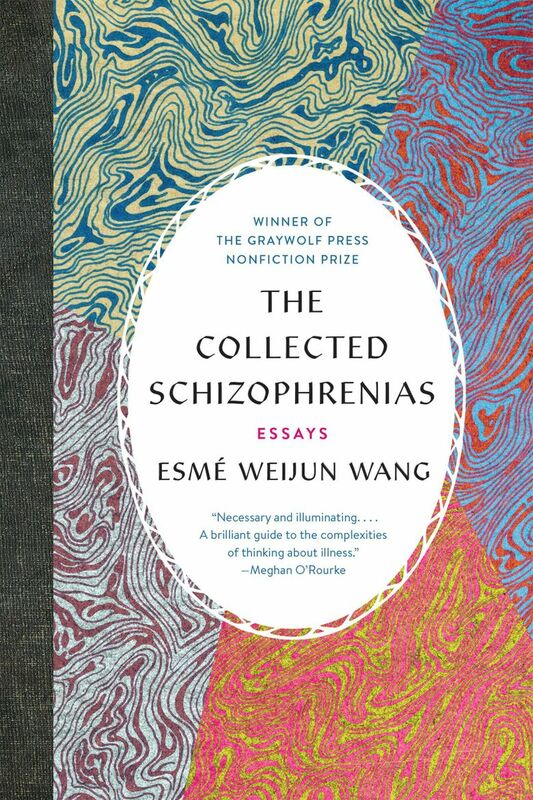 Winner of the Graywolf Press Nonfiction Prize, “The Collected Schizophrenias” collects 13 absorbing essays addressing Wang’s negotiations with schizoaffective disorder. Though its volume is relatively slim at just over 200 pages, “The Collected Schizophrenia” is, in its achievements, a big book. Wang is not the first to write about her experience of schizophrenia (she cites, among others, MacArthur winner Elyn Saks), but she may be the first to do so in a series of essays. This distinction is not trivial. Wang eschews the obligatory arc of the illness memoir in favor of a series of refractions. One by one, these essays are tidily structured; and together they form a loose web, circling each other while flung to distant points. This construction supports a vibrant porosity, and Wang adopts a mode of inquiry and unknowing as she explores, with frank coolness, topics ranging from her schizoaffective diagnosis to the compounding effects of PTSD and chronic Lyme disease; from the failures of higher education to the question of parenting. She weaves these experiences through an archive of other texts, figures and events that include Sylvia Nassar’s “A Beautiful Mind” (about the mathematician John Nash) and the photographer Francesca Woodman. Among the most compelling essays is “High Functioning,” which chronicles a visit to a Chinatown mental-health clinic where Wang speaks first to the patients, then to their doctors. As someone who is schizophrenic and a former medical researcher, Wang is uniquely positioned to speak to both communities. When she finds herself unnerved by those patients who are perceptibly psychotic, she becomes “uncomfortably uncomfortable,” she writes. “I know that these are my people in ways that those who have never experienced psychosis can’t understand, and to shun them is to shun a large part of myself.” Her acute awareness of her insider/outsider status in both schizophrenic and nonschizophrenic communities — as someone who, sometimes, can pass as normative — forms a throughline to the book. Wang situates her experience within a matrix of other histories, including that of Malcoum Tate, a schizophrenic man killed by his sister in 1988, and the two girls charged in the 2014 Slender Man stabbing. These parallels are harrowing, fascinating and handled with deep compassion. In an earlier draft of this review, I caught myself describing Wang’s prose as “lucid,” then winced at the implicit condescension — congratulations on your lucidity! — though this is a word I’ve used in reviews of work by neurotypical authors. Stymied by the paucity of my own critical vocabulary and in need of distraction, I turned to Netflix and watched, with some regret, the so-so horror comedy “Velvet Buzzsaw,” in which Jake Gyllenhaal’s character develops auditory hallucinations owing to the powers of dangerous art. I thought of Wang’s essay on the new difficulties she faces entering fictional worlds that threaten to blur into her reality; the ways in which the film arguably exploits schizophrenic experience; and experienced it with newly attuned trepidation. I share this humbly as an example of some minor impacts of a book that is sure to have major ones, immediately and for a long time.